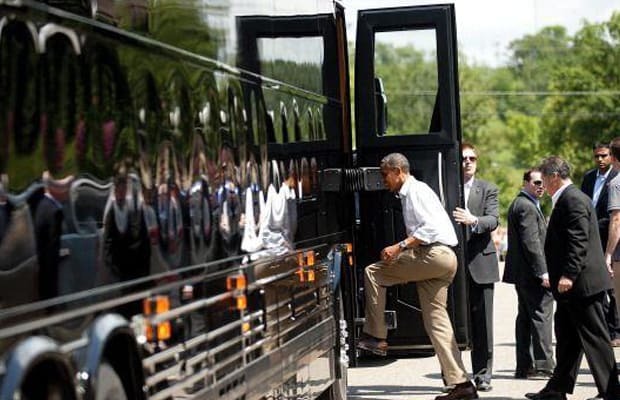 The taxpayers Secret Service recently hooked up President Obama with this fully-equipped, indestructable million dollar bus. At the size of a Greyhound bus, this monster is all black with dark tinted windows and flashing red and blue lights. This whip should secure our President as he travels through the Midwest, dodging those tea party freaks. This way he can focus on more important things, like maybe creating new jobs?